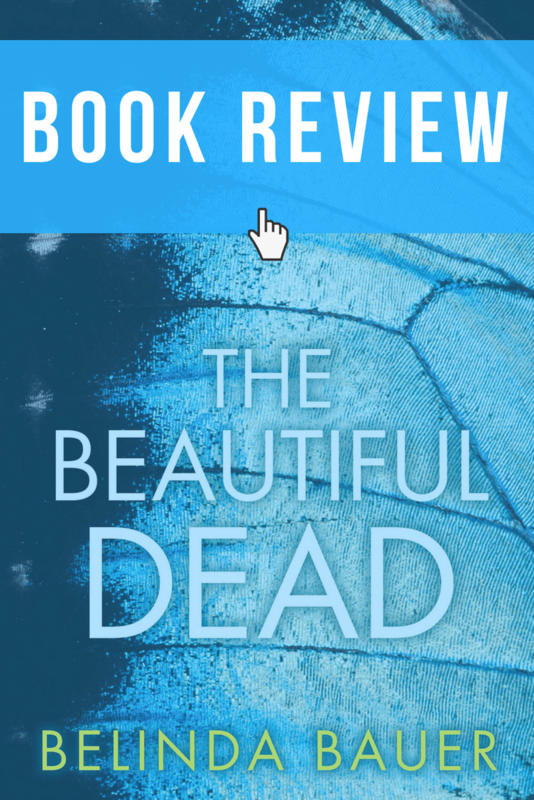 The Beautiful Dead is a story we’ve read before: Serial killer fixates on a pretty TV reporter. But it’s the details of the lives of the victims, the reporter, and even the killer, that give the book a heart. Will you be thinking fondly of this book or quoting it in ten years? Doubtful. But while reading The Beautiful Dead, you will become thoroughly enveloped in the world Belinda Bauer creates. Belinda Bauer is a working class writer. Her writing is not beautiful. Her plots are not plausible. But she isn’t playing in some pie-in-the-sky “epiphanies in the azure setting sun” literary world, either. She writes thrillers that not only have a heart, but also a humanity. Maybe she also bends the laws of reality and probability as well, but in a fun, thriller-book kind of way. This book is not sophisticated. For instance, there’s a prank war between two reporters and none of the tricks they play on each other are remotely plausible. That rascal, Guy Smith, intrepid reporter and opportunist, calls a murder victim’s family and tells them to douse our protagonist, Eve Singer, with not one, but two buckets of water. And the guy does it! His son was just murdered! But within the context of the world created by the book, it works. There are lots of moments like that. Bauer gives her characters life, and she mostly does it by ensconcing her characters in tragedy. Eve Singer needs money because her father has settled into a heart-breaking dementia and he’s only 55! He gets confused, wanders, and occasionally lashes out. Eve has a bit of a thing for her camera man, Joe, but how to invite him into her catastrophic life? She works the murder beat, but blood makes her sick and she is frequently found vomiting in the loo. (She’s British!) When she comes to the attention of the killer, it’s because she’s afraid and reaches out to him, a stranger, and he just can’t quite believe it. The unnamed murderer has a bad heart and was supposed to die as a child, but he outlived his family and his family’s money, subsisting in an old house that he heats by burning his childhood paintings. The only thing that makes him happy is the idea of death, his mother’s rotting corpse by his side. He thinks of himself as freeing people, immortalizing them, as he quotes some of the same classic poems from 7even. It’s not great, but it works. You feel a little bad for the emotionally stunted little bugger! The Beautiful Dead would be best for fans of John Sandford’s Prey series, which seems to almost always feature a serial killer who latches onto someone. Those books are great! But you can only read so many of them before there starts to be an element of sameness to them. The Beautiful Dead will be a nice break if killers imprinting on someone is your thing. Does she stick the landing? Sure. There’s some crazy stuff, but it’s fun. The Beautiful Dead is not going to be something that anyone is reading in 100 years, but it’s a fun beach read with some unexpected depth.